The United States has congratulated Nigeria on the occasion of the country’s 56th Independence Anniversary which comes up tomorrow, October 1, 2016. 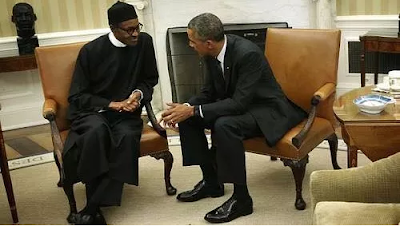 On behalf of President Barack Obama and the American people, the US Secretary of State, John Kerry, expressed confidence that Nigerians are working hard to address current national challenges. “On behalf of President Obama and the American people, I congratulate the citizens of Nigeria as you celebrate your Independence Day on October 1. I recently returned from my third trip to Nigeria as Secretary, and I came away with a strong sense of the nation’s resolve to build a better future. During my trip, I was reminded that many Nigerians are engaged in bringing people together across the divides of culture, religious practices, and ethnicity. There is still much work to be done to provide economic opportunities for all, end corruption, win the fight against Boko Haram, ensure broad respect for human rights and provide humanitarian relief for millions of displaced people. But we know that Nigerians are hard at work to address these challenges. The United States looks forward to deepening our partnership and friendship with Nigerians from all walks of life, so that we may work together for the betterment of Nigeria and all of Africa.